A great smile and healthy mouth will give you confidence in any situation and improve your overall health. At dentics, we can help you create the smile you have always wanted with our experience and honest approach to good quality aesthetic dentistry. A smile make over can involve as little as bleaching your teeth through to the use of porcelain to change the colour, size and shape of your teeth. Even if you are missing teeth, modern dentistry enables us to create a smile with fixed or removable teeth that function and feel as good as they look. Call us today for a complimentary appointment where we can open up a world of possibilities to makeover your smile. At dentics we believe preventing dental problems is a lot easier than treating dental problems. 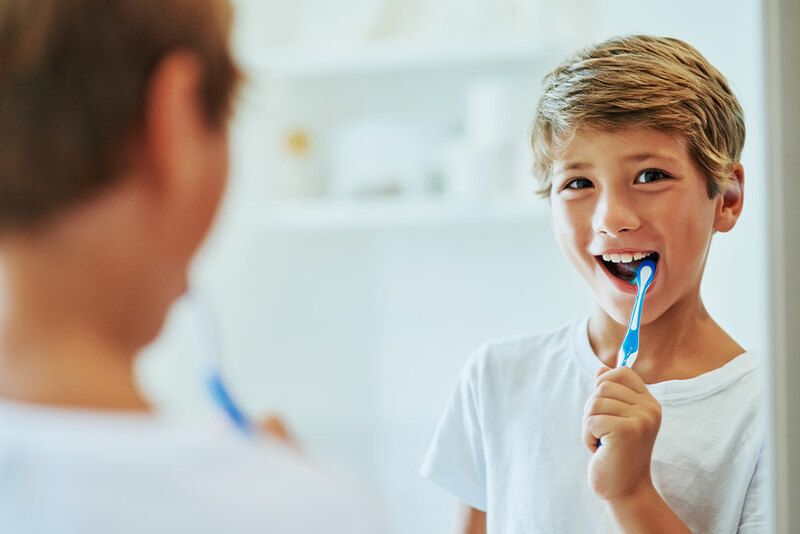 Regular checkups every 6 months allows us to monitor gum health, clean your teeth, and apply valuable fluoride, especially to newly developed teeth. Most problems are easily treated in the same visit when you attend regularly. Sealants can be applied to newly erupted teeth quickly and painlessly to reduce the chances of decay in the future, and we make a variety of custom mouth-guards to protect your valuable smile. Small dental X-Rays may be used to see in-between your teeth and diagnose decay early and check on developing teeth. These and many other steps can be used to form a preventative care program to ensure you have healthy teeth for life. If your gums bleed when you brush or floss or are red and swollen you may have the early signs of gum disease. Healthy gums are pink, firm and do not bleed easily. A common misconception is that if your gums bleed or are sore when you brush or floss, you are doing it too hard and irritating the gums. 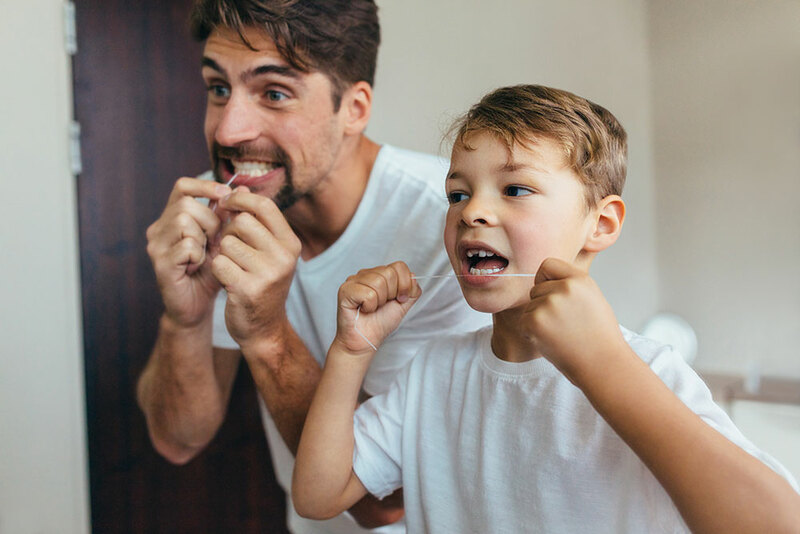 Usually you need to brush and floss more rather than less using a soft toothbrush, this will remove all the food debris and plaque which is the gum irritant, and the bleeding will usually ease or disappear. Gum disease progresses when plaque builds up around the neck of the teeth, after a short time this plaque hardens and cannot be removed by brushing alone. This causes inflammation which can spread to form a pocket between the gum and the tooth, as this progresses the top part of the bone starts to disappear and in time the bone loss can be severe enough that the tooth becomes loose. At dentics we will develop an in surgery and at home care program for your individual needs, so we can address any gum problems. Most cases involve quite simple and pain free treatment measures which can be easily followed up at home. Children’s teeth are just as important as adult teeth and also need special care. Avoid putting your child to bed with a bottle. Brush kids teeth twice a day. Initially with water and a soft brush, later a small amount of children’s fluoridated toothpaste. Floss from around 3 to 4 years of age. Give your children fresh healthy food that encourages them to chew. Visit the dentist regularly. Not only can we treat problems earlier, it makes them comfortable and familiar with the environment. At dentics we try to provide our patients with white or tooth coloured fillings always. There is very little need in modern dentistry for amalgam or metal fillings. We use the latest techniques for safe amalgam removal including the use of latex dam, and of course, we do not remove sound fillings that are not leaking. White fillings, when done correctly, can look good and last as long as the older amalgam fillings. Tooth bonding with white resin fillings in many cases can be a very satisfactory alternative to caps or crowns. Techniques involving tooth bonding can be used to close up small gaps between front teeth and improve the appearance of slightly crooked or “peg” shaped front teeth. As always, we are only too happy to offer a free consultation to show and explain the advantages of modern white fillings and the use of tooth bonding to improve your smile. At dentics we have a variety of whitening products and procedures available to give you a dazzling smile. We offer a variety of in chair/office options to whiten your teeth and also carry at home bleaching products to suit more sensitive teeth and for people who are not in a hurry for whiter teeth. These products use a bleaching gel that is placed in a custom guard that is worn for a period of time each day for about 2 weeks. For all bleaching procedures the long term results are very good, one advantage of at home bleaching systems is that over time when your teeth pick up staining, refills can be used for one or more days to recreate that dazzling smile. We are always happy to provide a free consultation to talk about whitening options for your individual smile. Crowns are used when a tooth is badly decayed or heavily filled. A crown covers the entire surface of the tooth from the gum line up, and can dramatically improve the appearance and strength of a tooth. They can be made from porcelain alone or porcelain fused to a metal base. We will always advise you on the most appropriate type of crown for your individual tooth. A veneer is usually made from porcelain or resin and only covers the front part of the tooth. These can be used to improve the appearance of stained, chipped or crooked teeth and can provide a long lasting, uniform smile. At dentics we use only the latest techniques and materials to make the process of having crowns or veneers a painless and gentle experience. Dental implants makes permanently replacing missing teeth easy. They involve a titanium screw being placed in your jaw bone, which acts like the root of a normal tooth, with an attachment on top. Implants are stable, secure and function like normal teeth. They can be used to support crowns, bridges or even dentures making eating and smiling with confidence possible. Modern dentures can be very aesthetic and comfortable. 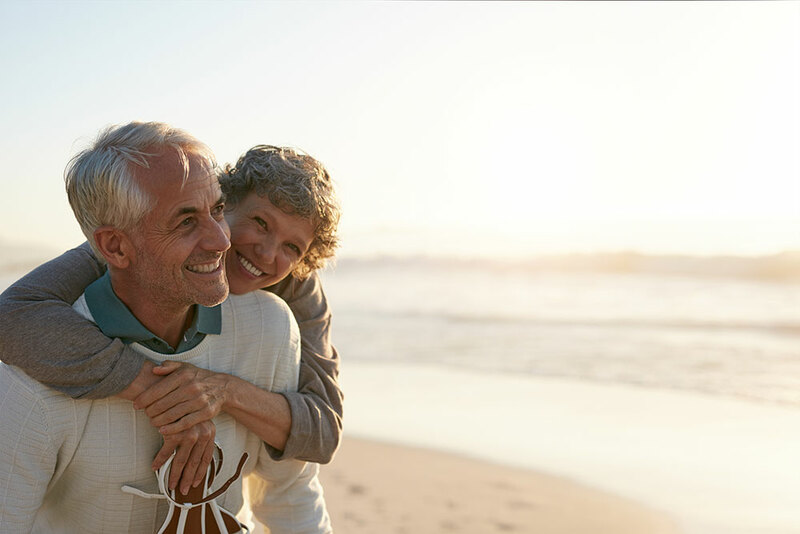 We now have flexible denture bases which provide more comfort than ever before and tooth coloured clasps so no metal is visible in your smile line. Ill fitting full or partial dentures can be made very secure now through the use of dental implants for additional retention. Come and see us for a consultation where we can show you some of the advances and advantages of modern cosmetic dentistry. Almost everyone experiences pain with erupting wisdom teeth at some time. At dentics we can help you if your wisdom teeth cause pain through the use of minimal intervention or removal of teeth. We can provide in chair removal or organise removal of wisdom teeth under sedation or general anaesthetic. Root canal therapy is needed when the nerve, or pulp, of a tooth is infected or dead. It involves removing the pulp and replacing it with a filling. Some of the more common causes of root canal therapy include deep decay, fracture of a tooth, a blow to the tooth, severe wear, grinding and even gum disease. With present day techniques, root canal therapy can be a comfortable procedure and a good alternative to extracting a tooth. It may take several appointments before the canals are finally filled. A medicament may have to be sealed in temporarily to eliminate all infection. Following a root canal therapy a final filling is placed to restore the tooth. In heavily filled or badly broken down teeth, a crown may be required to strengthen the tooth.